Design in a Kilt is the premier choice for home remodel and renovations in the Grand Lake and surrounding areas. We are a design/build company and take care of every detail concept to completion. We are one of the few builders in the area offering full 3-D renderings of your project, so you already have an idea of the distinct result. Building and designing are not our only strengths; we create unique details that can make your home special from anything else. We specialize in custom finishes inside and out, and attention to the details in every corner. 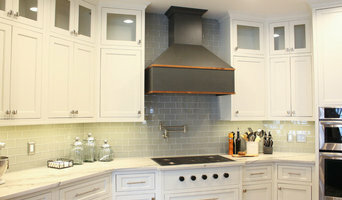 We specialize in remodeling truly any shell and make it something completely fresh and beautiful. Old bones have the best narratives, and we love breathing life back into them. Contact us to set up a design consultation. Draper Construction specializes in luxury custom homes, serving the greater Grand Lake area by partnering with clients to create value and reflect their lifestyle. A distinctive Draper built home brings together the craftsman’s skill and the owner’s imagination, personalizing the home building experience. Your family. Our community. It’s why Draper Construction has been committed for over 20 years to "Building Above Expectations". 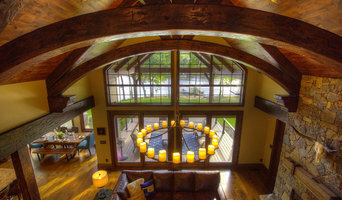 Terry Draper has been building custom homes in the greater Grand Lake area for over 20 years. As a native to the Northeast Oklahoma communities he serves, Terry’s passion for bringing blueprints to life began with the art of wood framing and the craftsman’s trade of trim carpentry. Experience quickly led Terry to realize his talent for managing all aspects of the home building process, but it’s his relentless attention to detail and high priority placed on relationships that has shaped the Draper Construction name. Today, Terry continues his hands on approach with each new project and enjoys the design and construction challenges unique to luxury custom homes. His commitment to sustainable communities and client value remain as the company’s foundational vision. Building Above Expectations is a team based culture at Draper Construction. Nothing exemplifies this more than Terry’s working relationship with the company’s operations director, Levi Gillen. Levi has been an engineer in the construction industry for more than 15 years and understands the importance of design, safety, and communication as tools for a successful home build that ultimately represents value for the client. His knowledge and innovation compliments the company’s overall efforts to construct a lifestyle that reflects the home owner’s personality and experiences. Together, Terry and Levi are dedicated to providing professional home building services based on the principles of accountability and continuous improvement. Jared Brown has been building and managing the construction of homes for over 16 years. In that time, he’s learned what it really takes to start with a concept and complete a home that far exceeds the homeowner’s expectations. After you’ve made the decision to build a new home, Jared works with you until the plans are exactly right, whether that takes two months or two years. Personal attention and quality construction are hallmarks of Jared’s work. As a professional with years of building experience, Jared remains engaged in the entire process to oversee even the smallest details. Building a home is a dream many people aspire to for years before it becomes a reality. When you’re ready to start the home building process, it’s important to choose a builder who understands how to make that dream a reality. From selecting a site to installing the last light fixture, you want the right builder to walk you through each step in the process. 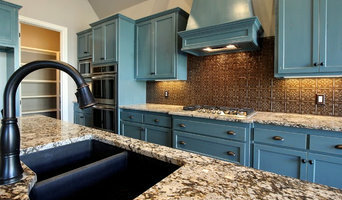 Custom Home builder in NWA..
At McCollough Homes, we understand that we are building more than a structure. We build the anchor that grows strong families and momentous occasions that last a lifetime. We are passionate about this industry, and our faith in what we do will be reflected in our practices. Our Team of professionals have a collective knowledge of the construction industry that is vast and plentiful. We use the experience of the team as our guide in providing an exceptional experience and creating value to the most important part of our business, You. At McCollough Homes, our commitment is to guide you through the process of building your home by using our Interior Design Team, architect and preferred lenders to achieve your dream. Whether you are looking for new homes in Tulsa or Oklahoma City, we can help make your dreams a reality. Bill McCollough started his construction career in 1997. He has built residential homes, residential developments and commercial construction projects in Arizona, Texas, and Oklahoma. Bill is a graduate from Oklahoma State University, holding a degree in Construction Management. Since graduation, Bill has been focused on designing and building cutting edge projects that offer extreme value for his buyers. Based in Tulsa, Oklahoma, Concept Builders delivers quality new homes throughout the Greater Tulsa Area. With a history of putting families first since 1977, Concept Builders works closely with every family during the building process to create their dream home. With almost 40 years’ experience in the home building industry, Concept Builders has adapted to the latest design concepts in home construction. Families can expect energy efficient solutions integrated in every phase of the building process as well as customizable designs in every home community. Currently, Concept Builders features seven beautiful communities located in Sand Springs, South Grand Lake, Glenpool and Mannford, Oklahoma. With over 65 floor plans to choose, Concept Builders’ mission to deliver quality custom homes at competitive prices allows every family to customize any feature of their floor plan. Finding your new home has never been easier with Concept Builders’ history in creating dream homes for families across Oklahoma. Browse through the available communities and find your dream home today! 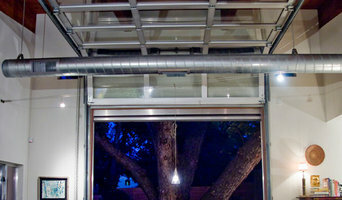 Midtown Tulsa renovation and new home building specialists since 1977. Complete attention to detail is required to create lasting quality. You can always call us during and after the building process. Our focus and goal is to make this a long term success story for our valued clients. These questions always comes into play "why do you build a home the way you do" "nobody can see behind the walls" "wouldn't it be cheaper to build the home using cheaper; lumber, materials and sub-contractors" the answer is always "yes it would, but we simply won't do it!" Every sub-contractor we use has been in business at least 5 years. Our Kitchens are made by Rambo. Electrical: Elite 30+years in Tulsa Quest Plumbing: 30+ years. Painting: Arts Painting 20+ years. HVAC: Dale and Lee's 20+ years. Insight Homes, Inc. is a custom home builder in Tulsa, OK., primarily in the Mid-Town area. We pride ourselves in offering our clients the highest level of customization, individual design and customer service. Our team of professionals guide each client through the process of building their home and we offer helpful advice with careful attention to detail all along the way. We are proud of the quality craftsmanship displayed in all of the homes we have built. Relationships are the cornerstone of our company. We believe that life is about relationships. The reason why we have been in business since 1993 is because of our relationships with our customers, subcontractors, and the many others that are a part of the homebuilding experience. Our focus is to take care of the people around us, in doing so it enables us to build a great home of quality, creativity, craftsmanship, and distinction. We are thankful for all of the opportunities and people associated in all of the 1700 plus homes and 24 years of serving the Tulsa community. Trade Mark Homes has been providing Northwest Arkansas with quality built homes for more than 65 combined years. We believe in hard-work and exceptional craftsmanship long before the foundation has set. Constructed for longevity, our homes are built in a sustainable manner and with the highest standards. We specialize in stunning custom homes and luxurious move-in ready spec homes. Whether you decide to build or buy a home with us, you can always depend on Trade Mark Homes to turn your dream home into a reality! Terra Nova is a premier custom home builder in the Tulsa area. We have been serving the city of Tulsa and its surrounding area for over sixteen years. In that time we have designed and built a variety of different architectural concepts from modern, to traditional and everything in between. We pride ourselves on being able to achieve what ever concept it is our customer is wanting in their custom home or remodel, and doing so with the up most craftsmanship. What do new home builders do? For Pensacola residential home builders who also act as developers, the job starts well before the first nail is driven. They perform local market research to determine whether the prospective homesites make sense in the Pensacola, OK market, as well as survey the land on which the house will be built to make sure it is suitable for construction. Custom builders also obtain the necessary permits. A good custom home builder in Pensacola, OK has skills that go far beyond construction — he or she must supervise subcontractors and artisans; keep tabs on local zoning regulations, building codes and other legalities; inspect work for problems along the way; and perform dozens of other roles that are essential in building a quality house. Here are some related professionals and vendors to complement the work of home builders: Interior Designers & Decorators, Landscape Architects & Landscape Designers, Architects & Building Designers, Kitchen & Bath Designers, Specialty Contractors. House builders are responsible for ensuring that the home-building project sticks as closely as possible to the specified timetable, particularly in the event of change orders. Custom and luxury home builders in Pensacola, OK also need interpersonal skills to deal with clients of all types, soothe frazzled nerves, negotiate conflicts and resolve problems. How long have you been in the home building business? How many projects like mine have you completed? Who will be working on the project? Are the workers employees or subcontractors? May I see a current jobsite? Can you give me the addresses of some houses you have built? Are you and your employees licensed and insured? What license(s) do you have? What other training and affiliations do you have? How will I be charged for parts and materials? When can your job get done? What is your policy for change orders? What happens when the cost exceeds the budget? What about changes to materials or labor pricing? What will I need to provide? 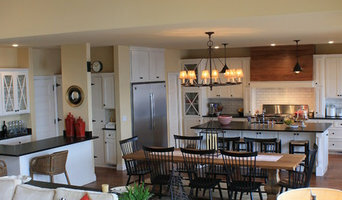 Find custom home builders in Pensacola, OK on Houzz. Narrow your search in the Professionals section of the website to Pensacola, OK home builders. You can also look through Pensacola, OK photos to find a house you like, then contact the builder who worked on it.